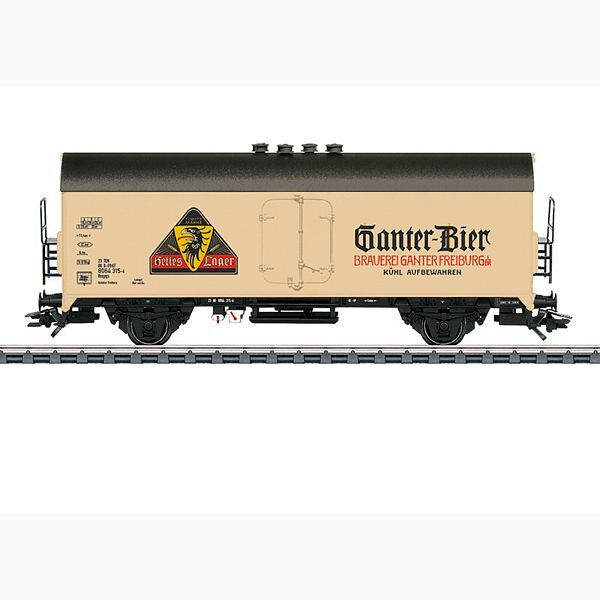 Prototype: Type Ibopqs privately owned beer refrigerator car painted and lettered for the brewery GANTER GmbH & Co. KG, Freiburg, Germany. Lettered with the advertising slogan "Ganter helles Lager" ("Ganter light lager"). Model: The car has separately applied roof vents. It also has separately applied ladders on the ends. Length over the buffers 13.4 cm / 5-1/4". DC wheelset E32376004. Trix Express wheelset E36660700.